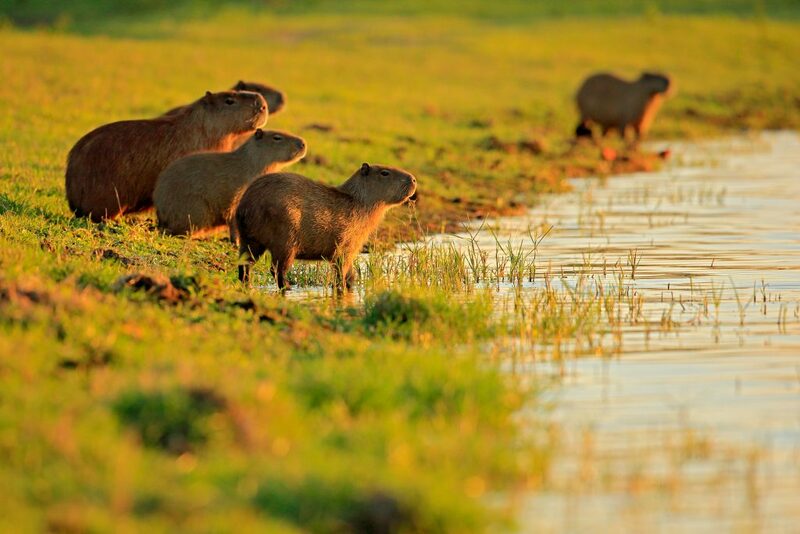 The Pantanal in Brazil is renowned as one of the best wildlife-watching destinations on our planet, a heavenly place boasting such a high concentration of unique creatures that going for a drive, walk or horseback ride feels like a virtual journey through a wildlife encyclopaedia. One step, equivalent to one page. 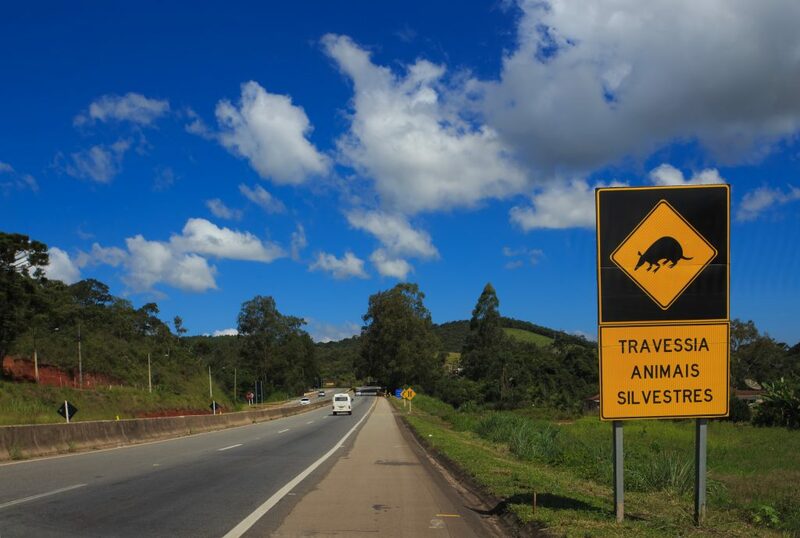 You know you’re approaching an otherworldly place when the street sign tells you to watch out for an animal that seems to have been inspired by a science-fiction book. Sure, it kind of looks like a mouse…but how big would it have to be to warrant a SIGN?! Remote and pristine, the Pantanal was established as a UNESCO World Heritage Site back in 2000 and is a treasure trove of nature where humans play second fiddle to a fantastical array of creatures. This is the world’s largest system of wetlands and the most magical marshlands you’ll ever visit. 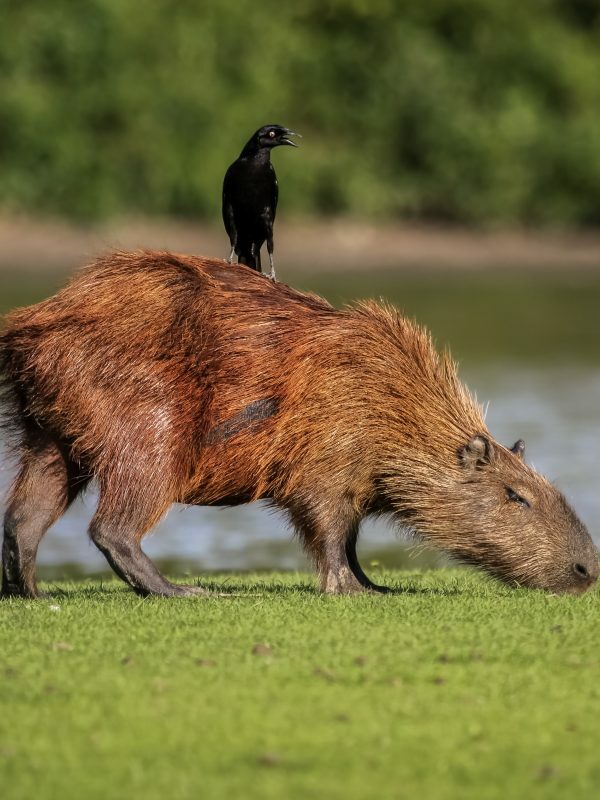 During the yearly flooding, in the first three months of the year, the entire Pantanal – which actually stretches into Bolivia and Paraguay – becomes impassable to man and a stellar feeding ground for animal. Come dry season, however, and the scene transforms. From July onwards, the Pantanal becomes the most magnificent wildlife viewing platform in the Americas, as the receding waters trap fish in smaller ponds and entice all those hunters out of hiding. Mind you, they really can’t hide all that much in the Pantanal. That’s the beauty of wetlands: they don’t have the kind of dense and high vegetation normally found in tropical rainforests so here, everyone and everything enjoys life in the open. In the Pantanal, you’ll see colonies of egrets, herons, spoonbills and storks numbering in their thousands; millions of black caimans looking or the next easy feed and giant anacondas that thrive so well they reach lengths of up to 7m. The stuff of legends and also, for some, nightmares. 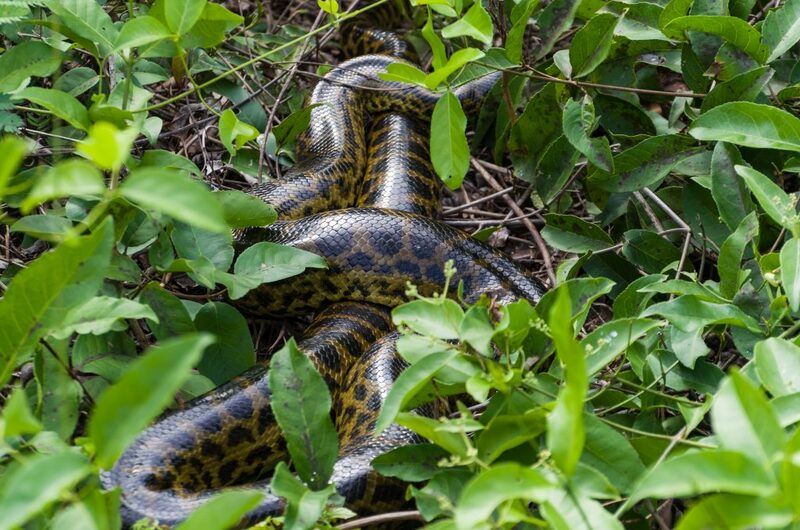 Jaguars, toucans, caimans, giant otters, piranhas, anacondas and a host of exceptional South American wildlife, the Pantanal also hides a flurry of totally bizarre creatures. Combined, these animals help create the largest concentration of wildlife on earth, per square kilometre. So if you’re looking for that one exceptional wildlife-watching destinations to include on your next tour of Latin America, you need not look any further. If you’re hesitant about visiting the Pantanal due to all the creepy-crawlies you’re undoubtedly expecting, rest assured that the reserve’s colony of anteaters have got your back. These huge insectivores (males can weigh up to 75kg!) are your dream insect-hoovers and can flick their 60cm-long sticky tongues nearly three times a second in order to relieve the ground of pesky littlies. With its poor eyesight but tremendously developed smell (up to 40 times stronger than ours) one of the anteater’s biggest issue is getting run over by 4WDs. They are, by far, the most common animal you’ll need to watch out for. Slow and dopey in appearance, this ruthless ant and termite devourer can gobble down up to 35,000 insects a day and boasts the longest tongue, relative to its size, of any mammal on earth. They have no teeth (we assume they’d just get in the way of a good feed) and are rather cunning, never destroying nests of insects to ensure a return feed once the colony gets up and running again. The fiercest predator the giant anteater needs to watch out for, in fact, is the jaguar yet given its tremendous claws – its in-built excavators – it does a mighty fine job of putting up a good fight. 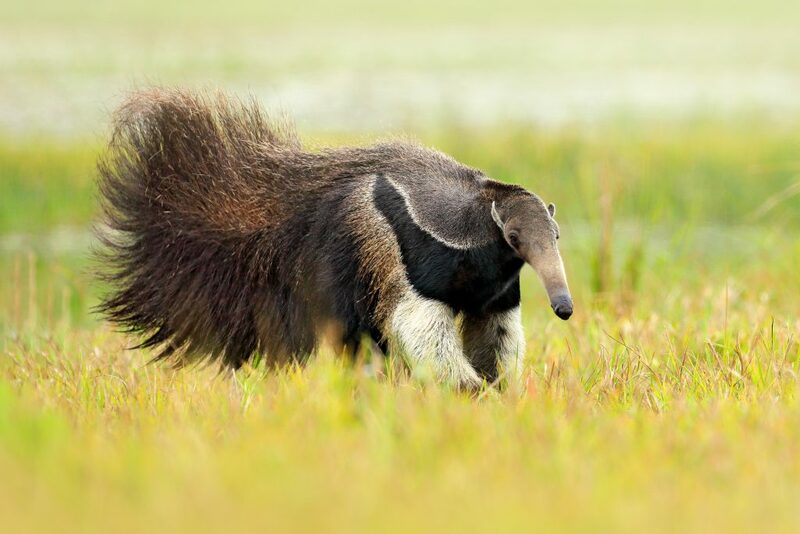 One of the most fascinating wildlife in the Pantanal, the giant anteater is mesmerizing to watch in action as it swings its head and its bushy tail from side to side constantly scanning the ground for insect nests and then, suddenly, bursting into a licking frenzy. No matter how many times you’ve seen these guys on wildlife documentaries, nothing prepares you for a face-to-face meeting. The weirdest thing about these guys? Their closest relation is the sloth. It seems only fitting that the largest tropical wetlands on earth be home to the longest parrot on earth. Measuring one very impressive metre and boasting a wingspan that far exceeds that, the Hyacinth Macaw inspires awe not just for its amazing size but also its stupendous colours. Their powerful beaks can break up all sorts of palm nuts in the Pantanal, except for the hardy acuri, so the macaw uses cows for processing and, instead, eats the digested left-overs. The macaw’s incredible intellect and propensity to vocalize have made it one of the most trafficked wildlife species in Latin America, not helped by the fact that they are extremely sociable (and loud) and tend to flock in very large groups. 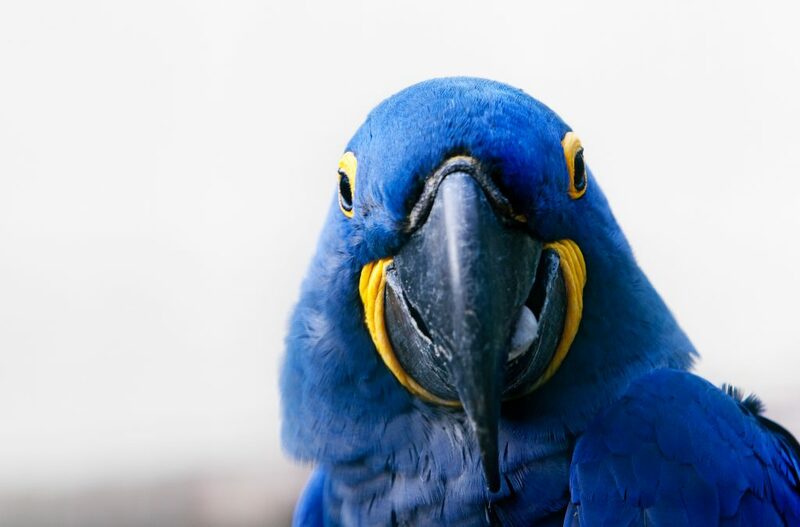 When visiting the Pantanal, you’ll no doubt hear a flock of Hyacinth Macaws, before you see one. If you let your 5yo go nuts with crayons on a blank piece of paper, the resulting collage would probably resemble a chestnut-eared aracari, one of the Pantanal’s most adored birds. 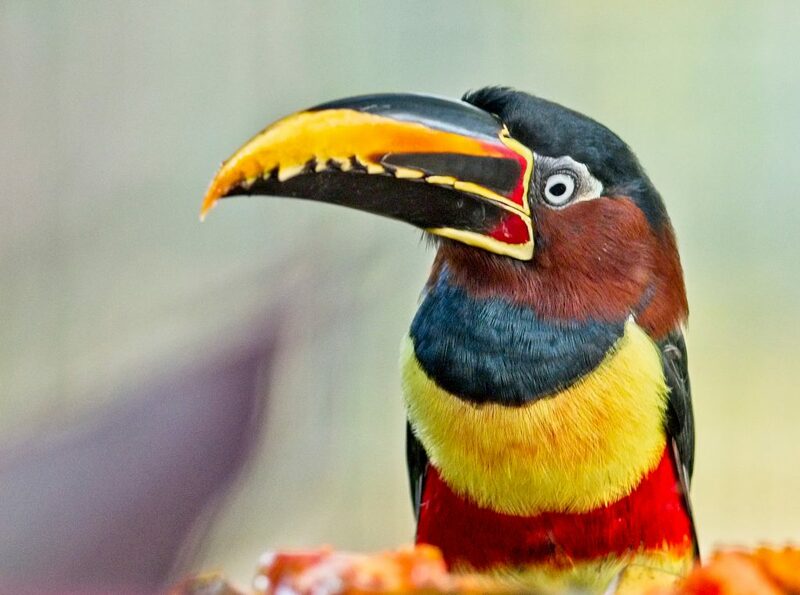 Certainly a strange-looking creature but not a rare sighting in the slightest, the aracari boasts one of the widest living ranges of all the toucans although singularly they are homebodies and can spend their entire lifetime based on just a single tree. As with all toucans, they are defined by their bright plumage and ridiculously-long noses (usually taking up a quarter of their entire size) which is mostly only used to reach high branches and hidden nuts. Along with the Hyacinth Macaw, and almost 600 other species of birds, these guys make the Pantanal an ornithophile’s dream. 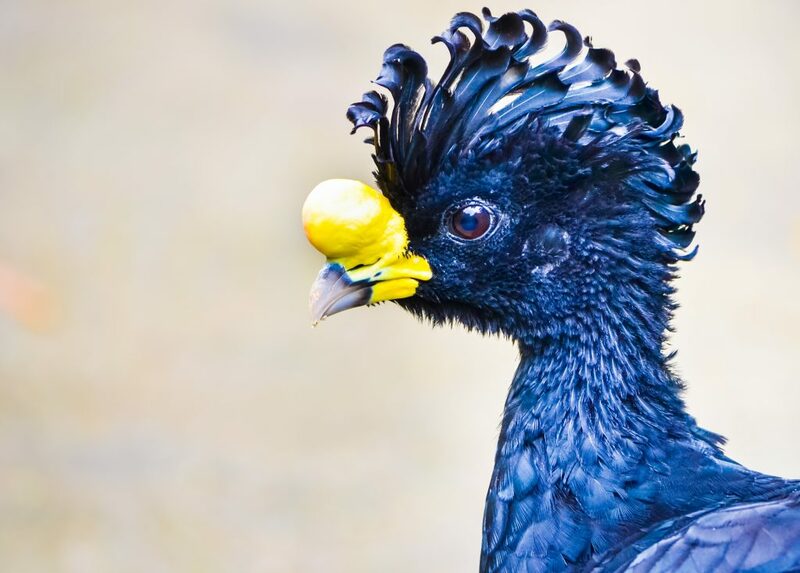 Whilst the bare-faced curassow may not impress with its technicolour plumage, it certainly garners attention with its crazy hairdo. The punk of the Pantanal is more of a land-dweller and boasts about the funniest run you ever did see. Scavenging for food in family groups, the flock is led by the dominant male who spends most of its time looking out for predators and, should it detect one, whistle for his gang to run for its life. The stocky army generals of the Pantanal, the six-banded armadillo is closely related to both the sloth and the giant anteater so it’s fair to say that handsomeness runs in its blood. Much like its insect-eating cousin, the little armoured guy – who can measure up to 50cm in length and weigh up to 6kg – has quite poor eyesight although, instead of humongous claws, has a cunning defensive mechanism that’s totally on point. 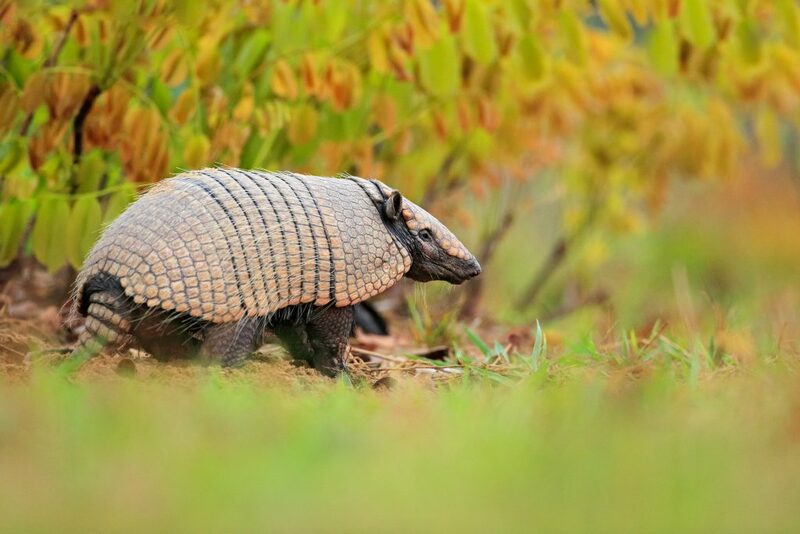 With almost all of its upper body covered in scales made of keratin (the hardened protein that composes our nails), the armadillo will choose to escape rather than fight from a predator, by curling up into a tight and impenetrable ball, much like a Teenage Mutant Ninja Turtle. Head-plates are to the armoured armadillo what fingerprints are to humans: a unique combination that makes each one distinctive. Should you happened to come across a hardened ball on the Pantanal, never try to pick it up. Unlike the giant eater, the six-banded armadillo has teeth and it certainly knows how to use them. For other tips, read our guide on how best to interact with wildlife when on tour in South America. The wildlife of the Pantanal is a mind-boggling collection of creatures that help make this one of the world’s most biodiverse destinations. If you’re a lover of pristine wilderness and incredible (and close!) wildlife encounters, you really couldn’t visit a more rewarding place. Together with the Amazon Rainforest, the Pantanal has helped strengthen Brazil’s standing as a wildlife-watching destination, bar none. For visits to the Pantanal and more sensational places to explore in Latin America, trust Chimu Adventures with creating an itinerary that’s bound to deliver one of the most unforgettable travel experiences of your life. Our highlights of Brazil tour designed specifically for wildlife lovers. Start in Iguazu Falls then venture into the Amazon Rainforest & Pantanal Wetlands.